The result of a study conducted surveying 2000 British people has been published in April of this year in The Independent. 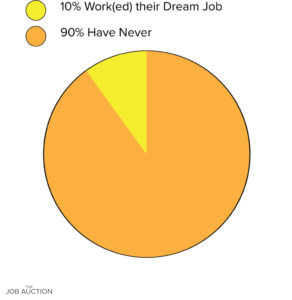 It turns out that only 1 in 10 Brits have never worked in their dream job. It also tells us that most of those people are not currently in that position. This news may seem sad but only acts as a facade that proves that the people of Britain are pluckier than people might expect. The national stereotype is one that is synonymous with negativity and pessimistic outlooks on life and work. 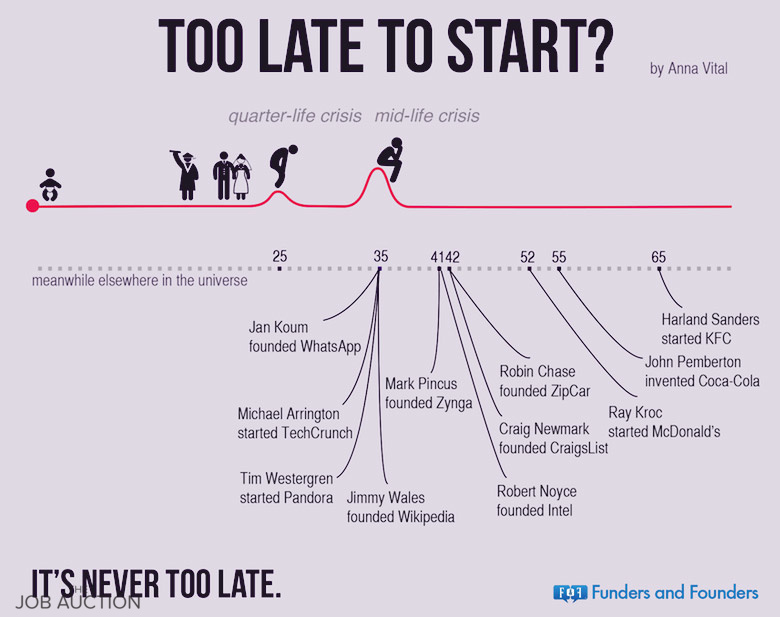 This, however, doesn’t seem quite to be the case; around 7 out of 10 of those surveys believe that you are never too old to give up on your childhood dream. Another encouraging statistic is that around half of the people who were questioned said that their friends were supportive during hard times, so much so, that they were encouraged to follow those dreams even when the odds were surely against them. A further 36 per cent of people had the support of Mum and Dad who advised that they ‘grab the bull by the horns’ when tackling obstacles to accomplish their dreams. Most of the people who reacted negatively believed that financial stability was the biggest factor stopping them from achieving what they wanted to achieve (55%). 28% felt they simply didn’t have enough time and the most interesting statistic of the lot would be out of those who believed you should give up, 16 per cent of them believed that the final straw must come before your 40th birthday. Having run an article on this recently we have to say that the ‘40 phenomenon‘ as we have dubbed it, is only a reality if you make it one. You have an opportunity to make the most of your life at whatever age you choose just like Henry Ford, Estee Lauder or Christian Dior. With regards to exactly what the British public dreamed of doing when they were younger, a fifth apparently wanted to be professional footballers. Football is the national sport in the UK and the most played by boys and girls up and down the country so this comes as no surprise. Weirder ones included steam-engine owner and downhill skier but only two people out of the 2,000 decided these were the paths for them when they were growing up. Other than that, there were more humble ambitions such as ownership of a cat or dog or simply being happy, which was a comforting and wholesome answer in a sea of more specific professional ambitions. Whatever you wanted to do whilst you were a kid, we at The Job Auction hope that the dream hasn’t died a slow death and if it got lost along the way, are here to reiterate: that it’s never too late. Get yourself over to The Job Auction now and make your dreams come true.